Do you have a need for speed? The thirst for the thrill? The inclination for invigoration? here. We’ve also written about Queenstown more generally. We’ve picked a good one to start with. (182m up), before coming back again. Sounds badass if you ask us. When can we jump?! the beautiful Shotover Canyon: from right down below. the park. You’d also be wrong. The Shotover Jet has been around since 1965, and has become an institution of sorts. a Queenstown activity brochure. And there’s good reason for the mention. really fear for your life. 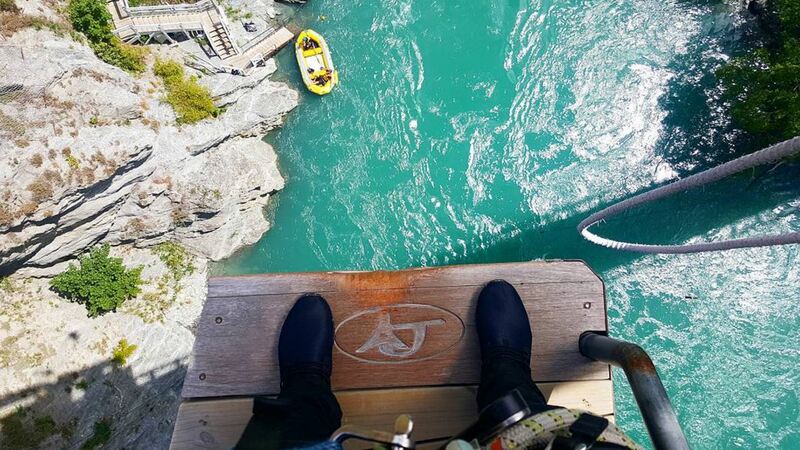 thrill-seeking activity, but not many know the significance NZ has in its history. A surefire way to get a kick of adrenaline is to let gravity bring you inches from the water. Or, if you like – into it. adrenaline at a slightly more leisurely pace – we’ve got the formula. deep blue Lake Wakatipu, than by drifting through the skies? you’re definitely at an advantage if you’re brave enough to take the leap. and “having a look around” is probably the last thing on the mind. the heart racing and, well, have a look around. the end your feet will be back on the ground, and your head still in the clouds. sports, snow sports, snow sports! to the range of options at your fingertips, top-notch facilities and first-class scenery. to decline. Time to hit the powder, and get the heart pounding! This is the view from The Remarkables ski-field. A name that was earned, evidently. cater to all ability levels. Oh, and your adrenaline will definitely be pumped. Rather be on four wheels than two? in previous posts, so we don’t need to go into too much detail. killer view of Queenstown. It’s exactly like it sounds: AWESOME. particularly handy if you’re staying in town. (provided of course Queenstown is included in the itinerary). for invigoration – head to the adventure capital of NZ!